Check out our I GOT RYPT program, designed exclusively for high school and college athletes. Focusing on self-esteem, mental strength and physical dominance, the I GOT RYPT program is the foundational package for high school athletes. 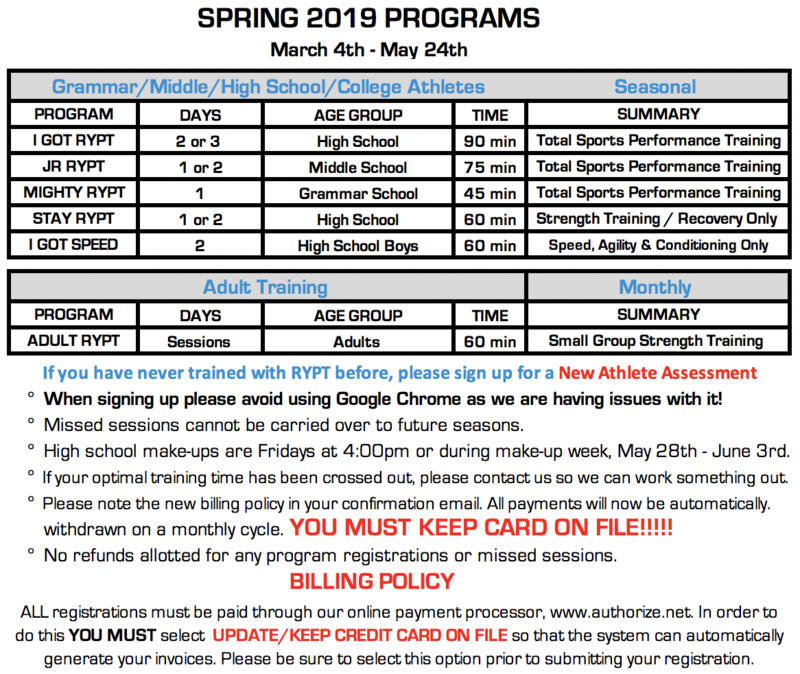 Our two day program (I GOT RYPT-2) is our most popular program amongst active or off-season athletes offered on Monday/Wednesday or Tuesday/Thursday. Our three day program (I GOT RYPT-3) is recommended for more advanced athletes or those who are not participating in any other activity during the period besides RYPT. Our 3-day/week programs are offered Monday/Wednesday/Friday or Tuesday/Thursday/Friday.